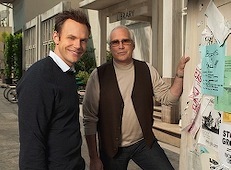 NBC's Community and Fox's Fringe will return next season. NBC has made it a foursome with its Thursday night comedies, green-lighting Community, 30 Rock and The Office for next season after earlier giving Parks and Recreation a reprieve. The Office is still the Superman of this group, averaging a modest 9.4 million viewers this season while Community pulls in 5.9 million. Fox's Fringe, another Thursday night attraction, also is coming back. The sci-fi series is getting a third season of "endless possibilities," as Fox puts it, even though its ratings fall markedly from the network's Thursday night lead-off hitter, Bones. 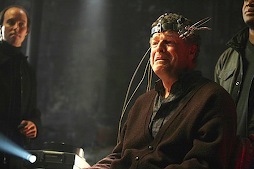 Fringe, which has been on hiatus, will return on Thursday, April 1st with eight new episodes. ***In something of a surprise, former Dallas Cowboys cheerleader Melissa Rycroft will not be the new co-host on ABC's Dancing with the Stars despite appearing with incumbent Tom Bergeron during last week's prime-time announcement of Season 10's new celebrity cast. Season 7 champ Brooke Burke instead is getting the nod, ABC announced on Good Morning America Monday. The new season launches on Monday, March 22nd. ***CBS' little-watched The Early Show will rear-end viewers on Wednesday, March 10th when co-host Harry Smith undergoes a live colonoscopy while CBS Evening News anchor Katie Couric reports from the scene. Couric, who lost her husband, Jay Monahan, to colon cancer in 1998, has since become a public advocate of regular checkups. Her on-air colonoscopy, in 2000, supposedly sparked a 20 percent increase in procedures done around the country.